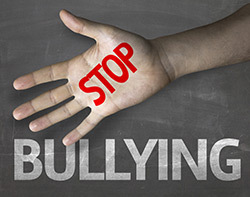 The board of education prohibits acts of harassment, intimidation, or bullying of a student. A safe and civil environment in school is necessary for students to learn and achieve high academic standards. Harassment, intimidation, or bullying, like other disruptive or violent behaviors, is conduct that disrupts both a student’s ability to learn and a school’s ability to educate its pupils in a safe and disciplined environment. Since students learn by example, school administrators, faculty, staff and volunteers should be commended for demonstrating appropriate behavior, treating others with civility and respect, and refusing to tolerate harassment, intimidation, or bullying. Please refer to the "Anti-Bullying" supporting documents located in the left-hand side of this page for more information.